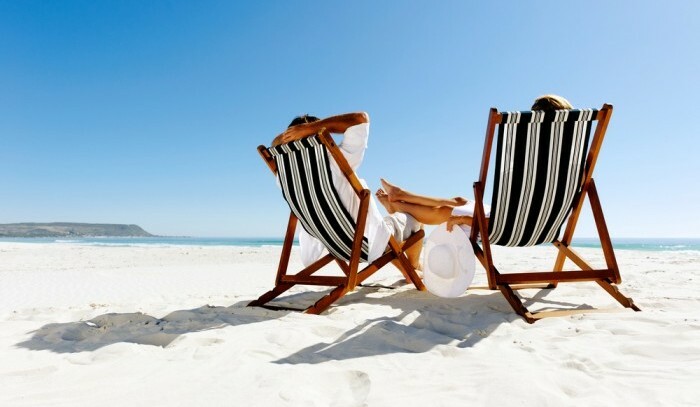 Are you thinking about going on holiday soon? If so, you might be looking at ways to pay for it even before you get on the plane. The truth here is that you have plenty of options when it comes to really making sure that you have the trip covered. You might tap into savings, you might try to get an advance from work, or you might even tap those credit cards. This is very tempting if you really want to go on holiday, but you might want to stop and think about all of your real options. The truth is that yes, you can indeed use credit to get what you want. There’s nobody that will tell you that you can’t do it. However, you need to think about the fact that this isn’t free money. You’re taking out a loan that’s going to need to be repaid, it’s just on plastic so it takes a different shape in our minds. Eventually, you will have to pay that money back. You can’t just hope that you’re going to have a free and easy time of things. You definitely want to be able to get things moving in the right direction as much as possible. Why not look at trying to use your savings? This will avoid the credit thing and you will not have money to pay back. Of course, it’s always a good idea to make sure that you’re going to be able to fill up your savings account over again. There’s nothing wrong with saying that you want to use your savings more than credit. The only time where we’re cool with credit is when you know that you’re going to be able to repay it, and when you can do it at zero percent interest rate. If you can’t do that, then you might need to see if you can make any modifications. Sure, everyone wants to be able to splurge on their holiday enjoyment but they might not be able to do that after all. What you have to really do is make sure that you’re exploring all of your options, being sensible and taking about what your finances will really allow. Otherwise, you could end up getting yourself into trouble that you would be better off avoiding. Trying to get better credit? Believe it or not, you might have to go back and correct some error that pops up. In order to understand what we mean though, you have to realize that there is a strong difference between incorrect information, and negative information that is absolutely correct. If you’re trying to get better credit, there’s nothing that you can do about the information that’s negative, yet correct. However, if you have entries that aren’t correct whatsoever, it’s time to get them corrected. But where do you begin? 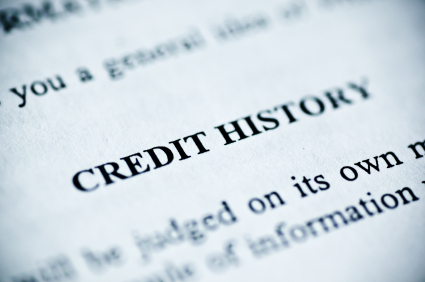 If you’ve found the errors on your credit report, you have to realize that they are being reported to the credit reference agency (like Equifax) by the individual, creditors. So that’s the first place that you have to start. You don’t want to just jump to the credit reference agency and start making a complaint. Step back one level and look at the individual creditors that you probably turn to every day. It’s all about how they report your financial habits. Start the conversation casually. Far too often it’s a computer error that can be quickly changed. However, you might need to keep working on things in a different fashion. There’s nothing that’s stopping you from getting your credit report cleaned up appropriately. You just need to go through a few steps. As we said earlier, start with the original creditor. Talk to them about why you feel the information is incorrect. Generally speaking, if something isn’t showing up properly, they will fix it for you. You might need to scan in some documents that really do prove that you have things under control. 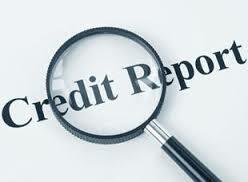 You will also have to prove that you’ve gotten them to make the changes with the credit reference agency. This is why it’s a good idea to have the entire correspondence done through the post rather than trying to conduct all of this on the phone. You probably don’t have recording equipment on hand that can capture both sides of the conversation. You’re going to have to get evidence, and doing everything through the mail is the best way to get it done. You have to also think about whether or not you need to go to the credit reference agency at the end of the day or not. You might have to talk to them about the road ahead, but that doesn’t mean that it’s not worth looking into. You have to be ready to do whatever it takes to protect your credit. Everything else stems from your cried, so it’s not like you should just leave things to chance. You might think that a few errors on your report isn’t going to matter, but you are definitely mistaken. Your lenders will not be able to tell the difference between a computer error and correct (but negative) information. So you’re going to have to get things changing in the right direction in order to continue growing your credit. If you don’t dream of getting a house or a car then that’s fine. However, most consumers look forward to having these things, and getting credit is the best way to really make sure that you’re going to be able to get exactly what you’re looking for. That’s just the way it is. Don’t forget that if you’re going to communicate through the post, you really need to make sure that you are paying for a return receipt to be sent to you. This means that your correspondence is going to be a little more expensive but that isn’t the end of the world. What matters right here and right now is getting your credit tended to in such a way where you don’t have to fight over it later. That’s all there really is to say about it. Good luck with your challenge to maintain credit. Even though correcting errors on your credit report isn’t a fun topic, it’s a very important one that shouldn’t be overlooked. Check out the steps for yourself today! The time of clear thinking has come upon us. What we mean by that is that if you’re still thinking in a thousand different directions, it might be time to stop, slow down, and start thinking about things from a much different perspective. You don’t want to find yourself unable to make the decisions that you know need to happen in order to finally be comfortable, safe, and in control of your financial life. The thoughts and decisions we make about our money matter in ways that we don’t always think about. If you’re going to borrow money now or in the future, it’s important to make sure that you’re thinking about it from multiple angles. The first question has to be whether or not you can really afford it. With the rise of the Internet as the source of information for just about everything in our lives, there’s no longer an excuse to not know things. A loan calculator can tell you immediately whether or not you will be able to comfortably handle the loan. It’s not just about raw numbers — you still have to pay for your rent and utilities on top of the loan itself. So there’s no reason to feel like you should just go with something for the sake of going with it. You need to have a real solution, and a real plan to everything that you do. Are there times where you want to borrow money? Absolutely. When you know that you’re going to get a return on your investment, you should definitely get a loan for your own purposes. However, when the credit product in question is just going to go to waste buying something that you don’t need, it might be time to have a little more pause and start thinking through your decisions. You should always have a plan to repay the money. Don’t weigh it all on the possibility of getting a raise — that’s just going to make life harder for you in the long run. It’s better to really step in and think about what you can handle and what you cannot handle before you even sign your name on the dotted line. While it’s true that there are debt relief methods, you don’t want the damage to get to that point. You don’t want to find yourself struggling to make everything work just because you made a decisions in the heat of the moment. If you have time to decide, make sure to take it. Don’t make decisions about money in a hurry. If you are a spouse and you have to make a decision quickly — make it as a couple. In fact, both people who are pooling money together need to have an equal say in the matter. Even if you are the head of household and all of the money is yours, you still need to get your spouse’s opinion. When we make our spouses feel included, things work out much better compared to the times that we don’t. Most arguments that couples have these days are all about money, so it’s important to keep that in mind while you’re thinking about your financial blueprint. Overall, that’s all we can really say on the matter — borrow safely, borrow well, good luck! Like most people, your credit score may not be perfect. The economy is tough right now and can cause many people to feel like they are stuck in debt. If an unexpected bill or emergency pops up, you may find yourself wondering what to do next. Banks and most other financial institutions will not give you a loan if you have bad credit, but you can relax because there are other alternatives out there. You can get the money you need even if your credit score is poor. Payday loans are a smart choice for people who are in need of money in an instant, but do not have excellent credit. A payday loan is a short-term loan that allows you to get the cash that you need right away. You can then pay it back on your next payday. This is a great option because you will not be adding another bill to your life. You will basically just be getting an advance on your pay cheque. You can do anything that you want with the money you are getting. You can get a payday loan to pay for an unexpected bill that you forgot was due. In many cases, it is cheaper to get this type of loan than to pay for late fees, reconnection fees, and other penalties that may come from being late with a payment. Before You Pay Any Old Debt, Validate! We know what you’re thinking — more credit repair. And during the holiday season, no less! What can we say? Credit’s on our mind all the time because the role that credit has in our society is growing every day. people are using credit to decide how much your insurance needs to be, whether or not you’re a worthy applicant for a job, or even whether or not you get to own a cell phone. Sure, you can navigate around these things by choosing jobs that don’t do credit checks, getting a prepaid phone and other workarounds, but everything has a price. It’s so much easier to clean up your credit over time. Even though you might not have great credit in the beginning, time and determination can give you back the things that you truly want. So, onward and upward, right? Right! Let’s talk about debt validation again, in case you might have missed the earlier notes on this. Validation of debt is simply where you figure out whether or not the collection agency that’s been breathing down your neck actually has the legal right to collect on the debt. They have to provide you proof, and proof is definitely important. A lot of people just automatically assume that a collection agency has the right to take your money without proof, but that’s not the case at all. The truth here is that if they can’t prove they have that right, the debt isn’t valid and it gets dropped off your credit report. But the trouble here is that even though it’s your legal right to do so, a lot of people skip this step, for strange reasons. You see, it’s really just a matter of knowing your rights and fighting for them — but it can be frustrating. You’re going to have to wait long periods of time before you get an answer, and it might not always work out as straightforward as you think. There is a time limit for validation of debts as well. Debt collectors have to send you a debt validation notice within 5 days of contacting you to collect a debt. You have the right to validate and/or dispute the debt within 30 days of receiving the letter. As a side note, this is a good reason why you really need to make sure that you’re staying as organized as you possibly can when it comes to this stuff. You want to make sure that you mark down in your calendar not only when the CA addressed you formally, but when the deadline is for you to respond. Make sure that you don’t wait till the last minute — after all, you’re going to need to bake some time in for the debt validation letter to get over to them. The first detail that you get is proof that the collection agency actually does indeed hold your debt. It means that they show you that the account has been sold to them or assigned to them from the original creditor. Your payment history also comes into play — they will need to send you the total amount you owe, including any fees that are added to your debt. You also want to make sure that you know how the collection agency has tabbed everything up. You also want to get a copy of your original agreement that you signed agreeing to pay the debt. If they don’t provide this, then the validation has failed and you have other options. So, how do we actually get this ball rolling? Well, simply put — you need to write letters. You need to first start by writing a request letter to the collection agency to validate the debt. There are plenty of validation sample letters online for you to choose from, so don’t feel like this is a step that’s out of your control. We know, we know — we should stop talking about credit and finance during such a festive time of year. Whether you’re carving pumpkins or picking out a great costume, chances are good that you want to focus on the fun stuff and not so much of this credit business. Yet if you really want to cap your year off right, you really need to hear us out here. The reason why we’re always talking about credit is because now is the best time to make sure that you are thinking about it. You want to always make sure that you focus on your credit because this is the top time of year when identity theft happens. Even if identity theft weren’t the top thing that you were focusing on, it still needs to be in the back of your mind that as you are spending money, there’s a possibility that credit thieves are dreaming about spending your money and ruining your good name too. That’s why we’re constantly singing the praises of credit monitoring services. When you compare their value to their price, you’ll find that most of them are a bargain. With a 30 day trial backing most of them, you will be able to see if you’re getting any benefits out of it or not. Yet you don’t need to just stop there — why not expand into other parts of the DIY credit repair world? It’s okay if you want to start out with just getting an eye on your credit and making sure that nobody is trying to mess you up, but it goes so much deeper than that. You can actually make sure that you go through the process of checking your credit score for errors. Errors happen over time, and sometimes there’s nothing you can do to prevent them. However, there is a point where you can dispute these errors. The trouble that comes online is that people tell you can’t. The issue here isn’t that there are negative pieces of information on your credit. Not at all. In fact, if you have negative information that’s accurate, there’s nothing that you can do about that information except wait. How long? Well, you have to wait until the statute of limitations is run out on the debt. The negative information will then go off of your credit report. Sometimes this does not happen and people believe that they are stuck paying for debt that should have been brushed off. You will need to make sure that you look up the specific statute of limitation laws for your state as well as the state where the company in question does business. If your contract with them specifically states that they are going off the laws in their state, then you must make sure that you go off the information for the SOL in their state. So, to recap — ACCURATE negative information is not an error. Errors would be debts that you did not ring up (identity theft), as well as incorrect information — a trade line reporting a 5,000 debt instead of a 500 dollar debt. These things can really mess up your credit score. To fight them you’re going to have to break out the printer and type up some letters. You can’t go on the phone, and you can’t send email. That doesn’t establish a proper paper trail that you can use in court. There’s nothing wrong with calling around to get information, but you want to make sure that you save the real heart of your argument for letters. You also need to make sure that you send your dispute letters certified mail, return receipt requested. It’s still the gold standard for making sure that someone actually did receive what you were trying to send them. It’s hard to think that your letters will be effective — especially if you really don’t hear anything else from the person. But you have to make sure that you give the other party at least 30 days to respond to you before you can move further with your case. Hopefully you will have the error not only corrected but in most cases it will be removed from your record. This should raise your credit score. The only word of caution that we give is that it’s so important not to try to dispute information that is correct. All you will be gaining is a temporary rise in your credit score. If you dispute correct information that is proved true, you can draw attention to it without expecting it — which can invite aggressive collection efforts, of course. If you’re trying to go under the radar, sometimes it’s a good idea not to wake up a sleeping giant if you can honestly help it. Now is definitely the time to give yourself the gift of DIY credit repair. Yes, there are a lot of things that you’re going to have to learn, but that doesn’t mean that it’s the end of the world, really. You just need to make sure that you have all of your ducks in a row quickly so that you’re moving forward to a better financial life, inside and out. Why not start today? It really could be one of the best decisions that you’ve made to date — don’t delay for too long! The recent news around is that you actually need to start thinking about the type of fees that your bank is charging. Sure, your bank needs to make money, and they’re having a hard time doing that with the new regulations coming down from Capitol Hill. However, does that mean that you’re just going to be stuck taking whatever you can? It’s not like this is the first time. There are fees for money orders, fees for checkbooks, fees for the ATM — including the ATMs that are outside of your bank’s network. Your bank is already hitting you up for fee after fee — even when your account was supposed to be low fee. Can they really change horses in mid-stream like that? Sure they can — but so can you. You might want to think about the wide variety of different banks out there that offer relaxed fees. The biggest target right now is Bank of America, where they charge customers for using their own in-bank ATM network as well as hitting them for the debt card swipes. To use the Bank of America debt card, you’re going to be paying 5 bucks a month for that privilege. Should we get up in arms about five bucks? Of course we should — it’s your money, and you should make sure that people are using it in order to provide you with better services. With the same old banking complaints still coming down the pipe, you’re going to need to make sure that you compete hard in order to win in the long run. That’s something that some people aren’t used to doing. They’ve relied on the bank having a long standing relationship with them — why would the bank hurt them after so many years of dutifully depositing their paychecks? Again, the banks need money, and since the only real asset they have involves you, guess what? There’s going to be a lot of fees in the future. The debit card fee is being tested out, but as people get used to it, more banks are going to be pushing this fee in the future. What you can do now is to look for a bank that doesn’t have the fee and think about moving over there. We say think rather than just packing up and moving over because banks have a tendency of changing their policies. Now, if you can compromise with the bank and agree to hold a certain amount of money in your account all the time, you might actually be a lot better off in the grand scheme of things. That’s because when you have a nice little pool of money in your checking account, you’re actually helping the bank out. “Drainers”, people that constantly drain their account to the bare bones, are the ones that banks have a hard time dealing with — they can’t count on that money, so they have to count on your money. Keep your eyes open as you work with your back. The era of loyalty is long over and now is the time to do what’s right in your own best interests, and not the banks. That type of thinking only leads to more fees as the banks figure that their customers will live with it. Vote with your wallet and watch the difference. When you’re trying to build your credit history from scratch, it can feel like everyone only has one thing to tell you — get a credit card. But try as you might, you just can’t seem to find a credit card that isn’t trying to bend you over a barrel — oh my! What is a young person trying to build credit supposed to do, just pretend like they don’t need credit? Even if you’re comfortable with living without credit for the short term, you’re going to probably want things later down the road that do indeed require credit. They do indeed require that you focus on the road ahead. They do indeed require that you stay focused on the things that really matter. If you aren’t really ready to do those things then you might want to be a cash customer for a while until you get the hang of it. Hey, it gives you plenty of time to read all of our killer personal finance articles, right? Right! Moving back to the subject at hand, have you ever thought about your local credit union? Sure, they don’t advertise as much as the other banks do, but that doesn’t mean that they aren’t important. That doesn’t mean that they aren’t there to help you. In fact, it’s scenarios like the one you’re dealing with right now that are the key reason why credit unions exist in the first place. They’re designed to give everyone a start in life — not just the ones that the big banks feel are going to spend the most money. In order to get started with this plan though, you’re going to need to build the relationship slowly. Start with a checking account and a savings account. That’s a good way to let the credit union know that you’re trying to stick with them for a while. Over time, you can pick up other things like CDs and even money market accounts. You can rest assured that your deposits are still safe even though it’s a credit union and not a traditional bank. Once you’ve been with the credit union for a while, you can ask one of the representatives there about credit products. Mention up front that you don’t have a credit history yet, and you’re trying to figure out the best way to get things rolling. Believe it or not, the credit union reps like when you’re willing to take risks and push forward. It’s better than thinking that you really don’t have any recourse to get what you want. Being passive about your credit is not a smart idea at all. If you have sufficient savings, you might be able to go ahead and get a signature loan. This is a loan that sounds exactly what the name implies. You sign off, and you can use your savings account as the collateral. Of course, the credit union is going to make a little bit of interest off the purchase, but otherwise you have some leeway in the type of loan you get. Start with their smallest one — even if the rep is willing to give you a higher account. You want to make sure that you are building trust with each and every step of the way, and you cannot do that if you are only focusing on the biggest loan amount possible. What if you can’t pay all of it back on time? This will mess up your credit before you’ve even had a chance to get things done, and who wants to really deal with that? So the best thing that you can do for yourself is to go ahead and make sure that you take things slow. It cannot be stressed enough that you will want to make sure that all of your payments for the amount you were loaned are paid back in a timely fashion. If you can pull it off, it might not be a bad idea to go ahead and pay these debts early on. Don’t just settle for one loan product — see what else you can get – like personal loan! Do Secured Cards Really Help You Build Credit After Bankruptcy? What is the best part of bankruptcy? Of course, if you’re still thinking about declaring bankruptcy you might feel like there’s never any positivity to be found with the process of bankruptcy, but the truth is that you actually have a good life after bankruptcy. Think about it — once you declare bankruptcy and go through the process, your bankruptcy is discharged and you never have to really go through bankruptcy again. You don’t have to worry about the debt collectors, and you definitely don’t have to worry about your wages being garnished. Yes, your credit score takes a beating temporarily, but there are ways to fix that. After all, you have to start rebuilding your credit somehow. You will have a clean slate to work with. Also, you might surprised at how well your new creditors will work with you even through you’ve been through bankruptcy. They realize that you cannot declare bankruptcy again for 10 years, so it means that you will have to pay your debts again. So, the question today is really how can you build your credit quickly after bankruptcy? The answer is definitely secured credit cards — they are a perfect way to rebuild your credit after bankruptcy because you will come to a point that you have some savings. You can always pick up secured credit cards — they are open to anyone that can make the deposit. Deposit? Well, we hate to burst your bubble but the truth is that you will have to get a deposit together in order to get a credit card of this type. The deposit can range from $100 all the way up to $500, but it really is better to drop in as much money as you can. That will give you the most credit line possible. Just because you’re getting a new credit card doesn’t mean that you get to go crazy with it. As long as you start thinking about the things that you really want in life, you’re not going to go crazy with your credit cards. Isn’t that what really put you into problems in the first place? It’s better to think sensibly about credit cards.